You'll be £12.99 closer to your next £10.00 credit when you purchase The Jihadist Threat - Updated and Revised. What's this? Order within the next 2 hours, 30 minutes to get your order processed the next working day! 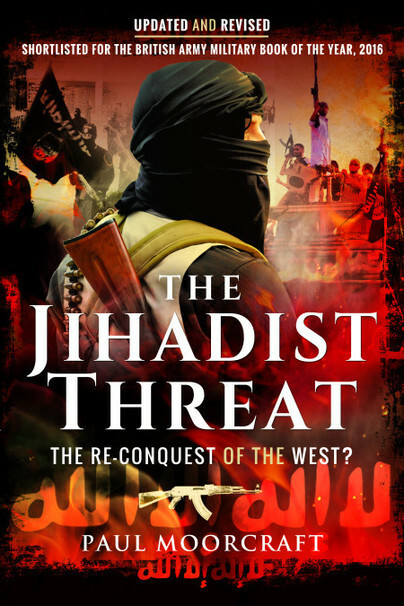 This updated edition of Professor Paul Moorcraft’s timely and controversial book examines the international and domestic threats to the West from Jihadism. It joins the dots in the Middle East, Asia and Africa and explains what it means for the home front, mainly Britain but also continental Europe and the USA. More Brits are trying to join the Islamic State than the reserve forces. Why? It puts the whole complex jigsaw together without pulling any punches. This well-illustrated book is written from the inside. Professor Moorcraft, currently the Director of the Centre for Foreign Policy Analysis, London, has long worked at the heart of the British security establishment and has operated as a war correspondent in over thirty conflict zones since Afghanistan in the 1980s, often alongside frontline Jihadists. Arguably no-one is better qualified to write on this subject and his knowledge coupled with forthright views cannot be ignored. This claim is borne out by his predictions in the original edition which have proved prescient. This is an important work that fully deserves the acclaim it has attracted.